Antonio’s Wine Dinner in Maitland! There is little we can do about paying Taxes! There IS something we can do to get rid of the stress of paying Taxes! Attend our Monthly Wine Dinner! Dogajolo White ’09, a blend of Chardonnay, Grechetto and Sauvignon Blanc. Dogajolo Red ’08, 80% Sangiovese, 20% Cabernet Sauvignon. Cesari Due Torri Pinot Noir ’08, Spicy bouquet of Black cherry and Strawberries. All for just $34.99 plus tax and gratuity. First Course: Fresh ripe Cantalope wrapped in Prosciutto di San Danielle and drizzled with Chestnut Honey. Paired with Dogajolo White ’09. Second Course: Porterhouse cut Sweet & Sour Pork Chop. Broiled perfectly with Balsamic Vinegar, Honey, Cracked Pepper and Rosemary. Served with Sweet Potato Cheddar mashed Potatoes. Paired with Dogajolo Red ’08. Third Course: Fresh whipped cream with a touch of Mascarpone layered between two Italian Pizzelle and topped with fresh berries. Paired with Cesari Pinot Noir ’08. 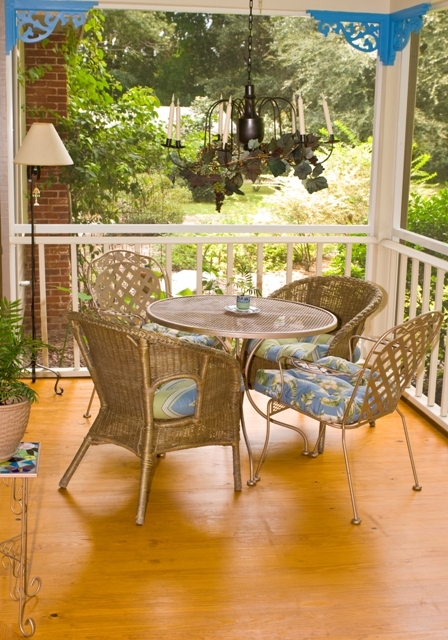 Antonio’s is just a few minutes from Central Florida’s premier bed & breakfast, Thurston House. 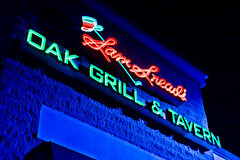 Book your room, make a reservation, and stroll over to the restaurant for a great night out! NYPD Pizza Comes to Maitland! We are delighted that NYPD Pizza is now open for business in Maitland, Florida. The Precinct size pizzeria features ten large flat screen TV’s, individual table sound systems and a sports bar section to catch all the big games. More attributes include outdoor seating, a display wall for local artist’s pieces and a large window for customers to view where the NYPD Pizza chefs make the signature fresh dough throughout the day. All pizzas are hand-tossed and fresh made to order. The services offered include dine in, take out, delivery and catering. Open seven days a week; daily at 11AM. The store is located at 400 South Orlando Ave near the intersection of Horatio next to Walgreens. Pizzeria phone number is (407) 790-4977. Innkeepers are duty bound to try every and all new restaurants. We are pleased to report the pizza is fabulous! There is so much more to try though. 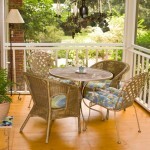 We enjoyed ours on the Thurston House bed & breakfast porch. 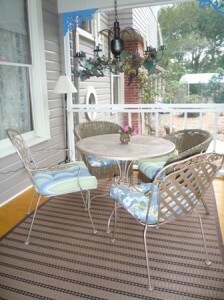 Book your room now and try it as we did, eating on the porch…you’ll be very pleased! One of our favorite places for food is Athena Chicken. It is roasted chicken as it should be…scrumpcious! They also offer other Mediteranian specials such as gyros, Greek salad, etc… A few doors down is the Maitland Wine Market. Get some wine, grab your dinner and enjoy a wonderful dinner on their outside table, or bring it home here to Thurston House and enjoy it on the porch. It’s a great way to save going out to dinner with this economy! North Orlando – St. Pat’s Parade! Winter Park has announced their annual St. Patrick’s Day Parade will be held on Sunday, 3/8 at 11am. Come enjoy the festivities, wear your green and pop into Fiddler’s Green or another great Winter Park dining establishment. Thurston House bed & breakfast is just minutes from all the action! Just announced – Winter Prix Fixe Menu… Fleming’s of Winter Park is just minutes from Thurston House. Three wonderful courses to make a very special meal for you…only $35.95! Good until 3/19. They also announced a Velentine’s sharing meal, good only 2/13-15. Go to their website for more details on either of these yummy specials. North Orlando – Antonio’s announces wine dinner! Our great local Northern Italian place just announced a Pre-Valentine’s wine dinner. It is three yummy courses each paired with an appropriate wine, all for $34.99 each. Go to their website for more details – www.antoniosonline.com. Celebrate before the crowd and book at Antonio’s la Fiamma for this wonderful dinner on Wednesday, 2/11/09! Antonio’s is just a couple minutes from Thurston House.